This Saturday, there’s a pretty big boxing match, and by “pretty big,” I mean that some believe it will be the biggest revenue generator in the history of combat sports. Floyd Mayweather steps into the ring to attempt to reach 50-0 against 0-0 Conor McGregor, a two-division UFC champion. The debate about the validity of this bout started before the fight was even official, and it will probably continue after it’s over. 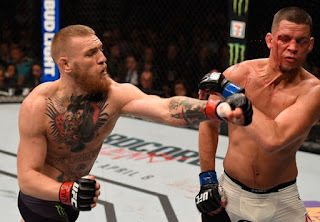 However, when Saturday night gets here, one should be aware of these 10 “rules of engagement” when watching this fight between one of the best mixed martial artists in the game and one of the best boxers of this generation. Unless you are an individual that trains extensively, there’s a good chance that you know nothing about combat sports. Or very little at least. If the experts who’ve spent years watching fights have very little of an idea of how to analyze this fight, fans should expect to have even less knowledge. And that is what makes this fight so compelling. Very few people in the world have seen McGregor fight traditional boxing rounds and he’s stepping into the ring with a man that’s figured out every style presented to him to date. There are so many details that are up in the air, and that’s why we are all watching on Saturday, not because we know what’s going to happen. If that’s the case, why waste the time? 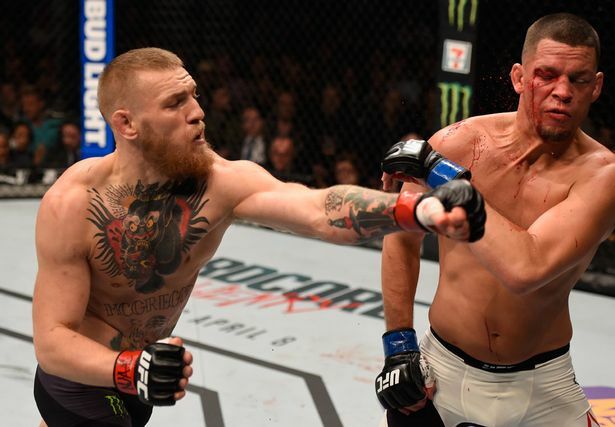 Just like the records and audio tapes of yesteryear, fights have an A side and a B side. The A side is the more recognizable star, usually the champion for championship bouts. He or she is the individual whose name gets top billing in the marquee, and the person that walks to the ring last. When it comes to the Mayweather-McGregor matchup, it is clear that Mayweather is the A side. There really isn’t any additional conversation around this point. The control he displays in the planning of the fight and the payouts when the battle is over prove that point. Mayweather is one of the top names in sports (whether that is a famous or infamous name is something else), and he’s the real draw for this fight. Heading into Mayweather vs. McGregor, there has been a lot of commentary from journalists that specialize in both boxing and mixed martial arts. At the same time, many famous “talking heads” in sports, like Skip Bayless and Stephen A. Smith, have also provided their opinions on the fight. Be selective in whom you listen to when getting your information about this fight. Just because some individuals yell the loudest or provide the most ridiculous quips, that doesn’t mean they are the voices of reason to rely upon to describe this fight. For example, this week’s Luke Thomas’s Monday Morning Analyst spoke to a variety of professionals -- the key word here is “professionals” -- who are experienced in both boxing and mixed martial arts. He asked these men to respond to questions regarding this weekend’s fight. The outcome was an insightful video that educates viewers more than any piece of commentary surrounding this fight to date. Watch, listen to, and read pieces such as this one, and stay away from the “hot takes” made famous by major sports outlets. Let’s make this clear, if Mayweather were ever to step into an MMA cage or ring to fight any talented fighter, he would lose and that would be it. There’s precedent for a former boxing champion stepping into the Octagon to face a former UFC champion, as James Toney fought Randy Couture back at UFC 118 in 2010. Remember what happened? Toney and Couture met in the middle of the cage. Couture hit a low single to ankle pick. Then the countdown started to see how fast Toney would be submitted. Couture got the job done at 3:19 of the first. The same thing would happen to Mayweather. McGregor has too many ways to win the fight, and just like other elements of the Mayweather-McGregor fiasco, this should not be a point of contention. This rule is for those that plan on watching the fight at the local watering hole. Please, do not get into any altercations with anyone because your opinion differs from theirs. You have the right to support the fighter of your choice, for the reasons of your choosing. As do they. Do not allow the liquid muscles provided by your favorite beverage to convince you to get involved in a physical tussle with someone because they like the other fighter. In the end, you’ll probably lose and probably look like a fool. A big note: do not mess with anyone that has cauliflower ears. It will end badly. When the fight is over, there’s going to be a lot of “I told you so” commentary. 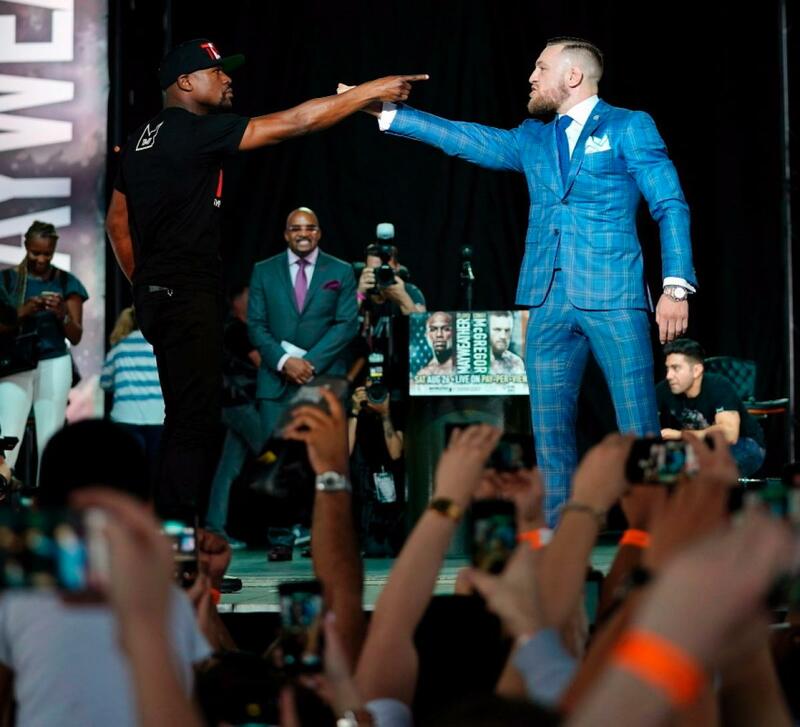 Whether Mayweather wins or McGregor gets his hand raised, fans and self-proclaimed experts will cite their passing conversations as proof that they knew exactly how the fight was going to go down. Ignore them. At the end of the day, the mystique around this whole affair is the aspect that makes it compelling. What we know about boxing, Mayweather’s legacy, his skill, and McGregor as an iconic sport figure are all going to be challenged this weekend. Enjoy the journey rather than the destination. 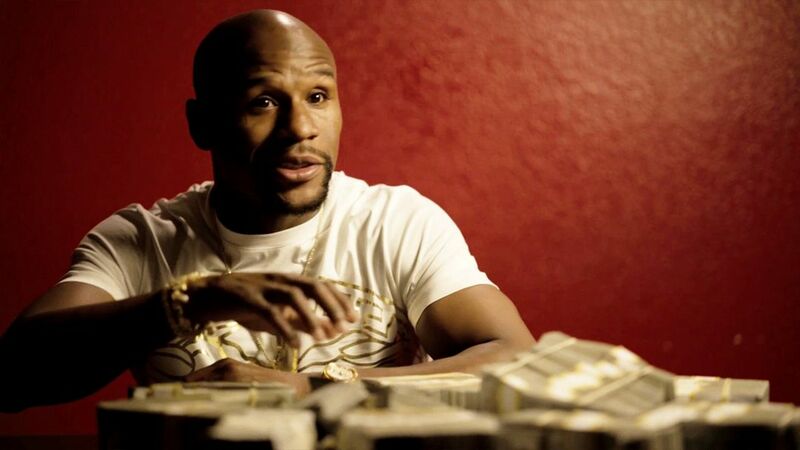 “Mayweather doing Mayweather things” should be a hashtag. It’s what he’s done for the majority of his career. A big reason he has a 49-0 record is that he’s calculated, not only in the ring, but also in preparation for competition. He picks his opponents in such a meticulous fashion that he knows when it is the perfect time to fight that person. This is why it took him years to fight Miguel Cotto, Manny Pacquiao, Oscar De La Hoya, and others. Best believe he’s done the same when it comes to McGregor. Mayweather thoroughly believes he can employ his tactical game against the Irish athlete. 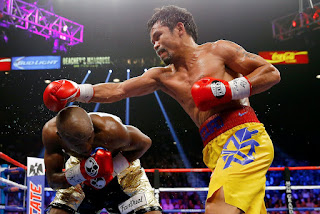 The implementation of those tactics is exactly what makes Mayweather an efficient and undefeated fighter today. 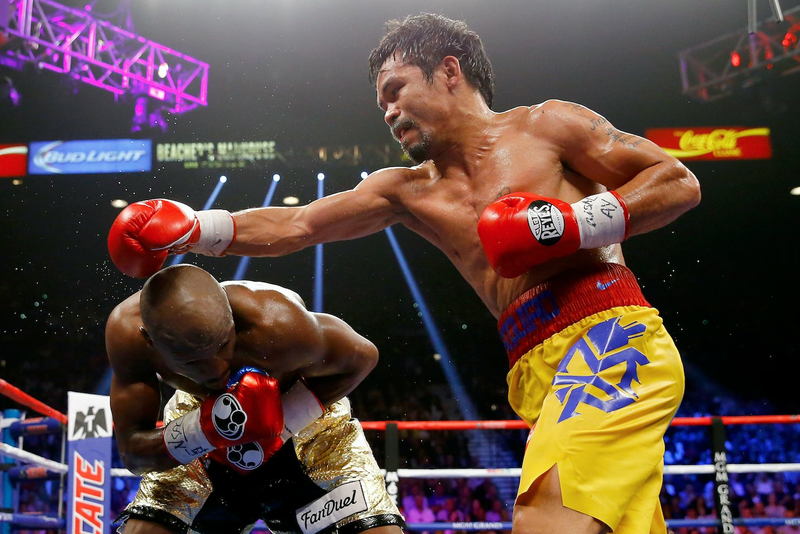 Many people complained after Mayweather vs. Pacquiao. Some went as far as to sue the Filipino boxer or demand refunds. The same could happen come the wee-morning hours of August 27. The promotional circus leading up to this fight has been a spectacle in its own right. The fight may not live up to the flair that fans are demanding. That’s because Mayweather is such an artist at controlling the madness that can occur in the ring. That control has created less than fan-friendly fights in the past, and the same can occur on Saturday. Whether you’re a fan of boxing or mixed martial arts, you’re bound to have those casual fans that ask the most annoying questions. Expect those questions to increase exponentially this weekend with so many eyes on this fight. If you don’t want to field those questions at a bar or a house party, the option of watching the fight alone is always there. While you will have to pony up $99.95 for the HD version (because no one should pay $89.95 for standard definition), you’ll get the peace and quiet of watching it alone. Thankfully, no one is required to memorize these rules when heading to watch Mayweather vs. McGregor on Saturday. It’s still a good idea to remind yourself of these ideas before the fight, however. This is going to be a crazy event even if the fight doesn’t live up to the hype. But regardless of how it turns out, remember these rules to live by; they will save you the headaches, and in some cases, a black eye.